Happy Tuesday, you guys! I hope you all had a great Labor Day weekend! It honestly still feels like Monday! 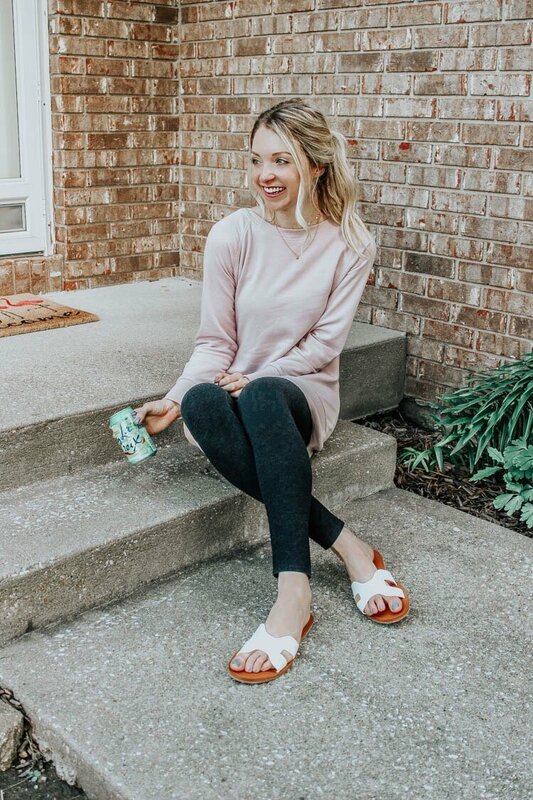 There were a ton of sales going on this past weekend, and I want to share some Fall sale picks of mine that are still available at Old Navy! I already own some of them, and I am eyeing everything else! 🙂 Before I share my picks from the sale, I figured I would share some facts about me for all of you who are new here lately! I am an introvert. Although I enjoy doing extroverted things, I am an introvert at heart. I always need that time to recharge after being busy and definitely need time by myself consistently. I have lived in St. Joseph, MO, my whole life (except for when Ashton and I both moved to Kansas City for a year after graduating college). I have a very strong desire to travel. I love living in the Midwest, but I am SO happy when I get to visit places like New York City (we had an amazing trip there a couple years ago). My dream is to visit places like France, Italy, and Ireland. I was originally an English major in college but switched to a Business Psychology major later. I worked in Human Resources after I graduated college. Then I stayed at home with Lana after she was born in May of 2015. I started blogging in January of 2016 – about 6 months after she was born. I believe that being positive and kind is SO important! One of the biggest things that helps me stay positive is thinking about all of the things I should be grateful for every single day. Shop My Fall Sale Picks from Old Navy Below! I hope sharing some random facts helped you all get to know me a little bit better, and I hope to get to know all of you even more as well! 🙂 If you don’t follow me on Instagram yet, you can follow me here! I share a bunch of content on there daily! Also, another random fact about me is that Fall is my favorite time of year (Christmas time is right up there with it)! I’m basically in Heaven from September until December 25th. 😉 If you want to read my Ultimate Fall Movie List blog post from last week, click here. I also did a post about 5 affordable Fall activities! Enjoy shopping my Fall sale picks at Old Navy! Talk to you all soon! This entry was posted in Fashion and tagged affordable style, cozy outfit, cozy outfits, Fall dresses, fall outfit, Fall outfits, Fall sales, Fall tops, Old Navy sales, style blogger, sweaters, sweatshirts.